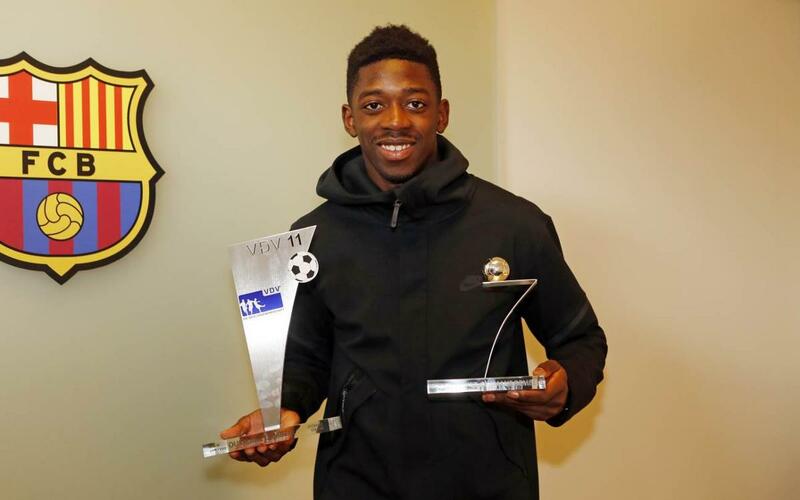 FC Barcelona striker Ousmane Dembélé was named the Bundesliga Rookie of the Year for his performance last season while at Borussia Dortmund. The 20-year-old Frenchman, who signed with Barça over the summer, was also named to the German First Division’s Team of the Year. Dembélé made 32 Bundesliga appearances last season and scored six goals. He is currently recovering from a hamstring injury he suffered in September, during the first half of Barça’s 2–1, comeback victory at Getafe. He has been making solid progress and is expected to be back some time in January.